Buying and selling cars online has become much more popular in recent years, as peer reviews, detailed history reports and almost any other information you may need is now readily available. However, with the exchange of large sums of money online comes the added risk of being scammed. Have a look at our list of the best ways to avoid being scammed, but remember; con artists are some of the most creative people out there, so always be weary of buying anything online. Escrow services are third party institutes that securely hold the money of a buyer until given permission to release it to the seller. This seems like a good way to ensure that your money is not released to the person you are buying your car from until you actually see the car; however, many scam artists create fake escrow companies. Once you have wired the money into the supposedly safe escrow account the seller will simply break off contact and disappear with your money. If a seller refuses to use a verified escrow service of your choosing, back out of the deal. This works for selling your own car as well. An escrow account will let you see that the buyer has enough money to purchase your car, but once you’ve sent it to him or her this money simply will not be released to you. The biggest thing to remember, however, is never, ever to wire money directly into someone else’s account – you just wont get it back. If you cannot make direct human contact with the person you are buying a car from (or even selling a car to), do not go through with the deal. A person who makes excuses or refuses to meet in person or speak on the phone is a big red flag, and often an indication of a scam. It’s very easy to set up a fake email account and post some pictures of a car online, but actually speaking with a person and detailing the car’s history is much harder to do. Does the deal you’re about to make sound too good to be true? Then stop; you’re being scammed. Anyone who advertises a car far below the market price is most probably trying to steal money from you in some way. 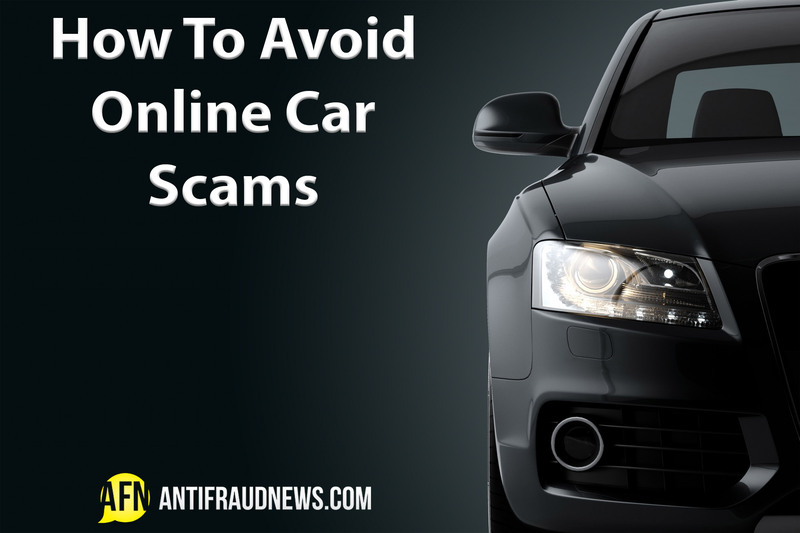 Often, scammers will advertise a ‘sweet deal’ online for a car in good condition (often a luxury car) that is being sold far below the market value. The catch is that this car will have to be shipped to your addressed from another country after being paid for. Don’t fall for this scam – that car doesn’t exist, and you will end up losing your money. Putting pressure on a potential buyer is the best way to ensure a successful scam. To expedite the process and manipulate buyers into sending through money as soon as possible, scammers make up sob stories that encourage buyers feel sympathetic towards them. You may feel more inclined to rush into a deal if the seller’s spouse is suddenly killed in action overseas and he or she cannot afford a traditional funeral, for example. There is a slight chance that this may actually happen in real life, but rather back out than risk being pressured into a deal you aren’t sure of. At the end of the day the best thing to do is to go with your gut instinct. If something feels ‘fishy’ or seems too good to be true, the chances are it is. Most online transactions are perfectly safe, but it’s best to let that amazing deal go than work with someone you don’t fully trust.